Rarely one gets to listen to the old-world music in Chennai. Many senior musicians are performing a very few concerts, especially during the season. 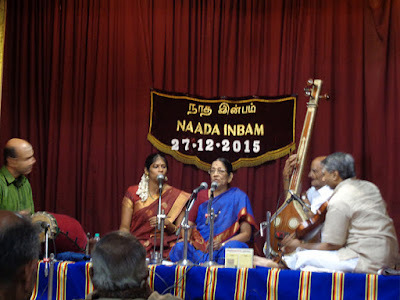 Naada Inbam organises the concerts of such veterans giving an opportunity for the rasikas to listen to a vintage music as well the young performers to learn a few tips on chaste music. 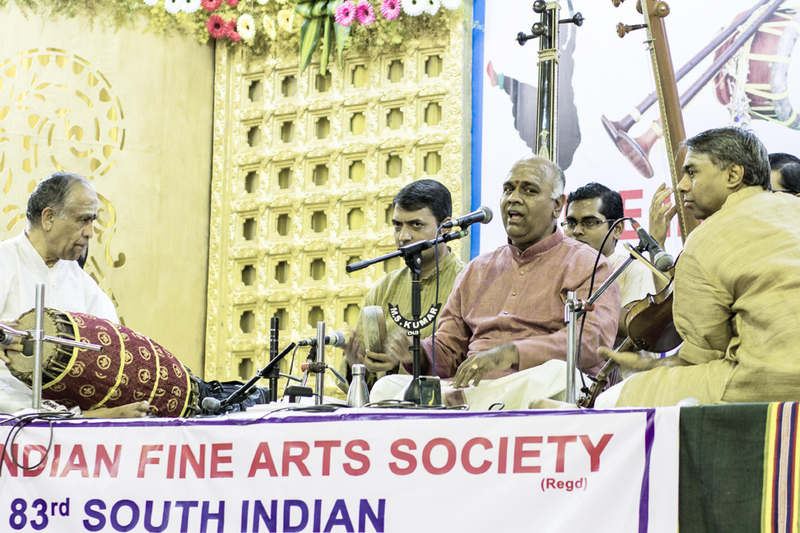 Senior vidushi Rama Ravi performed only at Naada Inbam this season and that turned out to be a treat for those who attended. 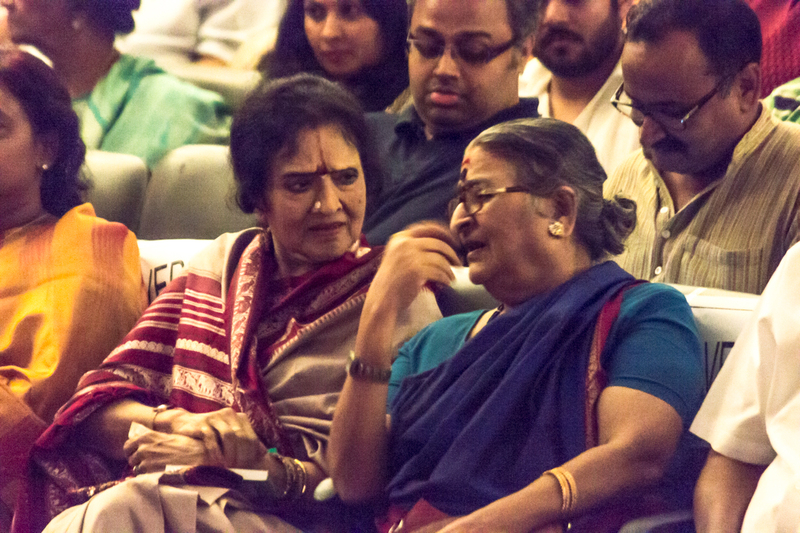 A tempo that was set in a pace that can be described as 'sowkhya kalam' flowed through the concert. 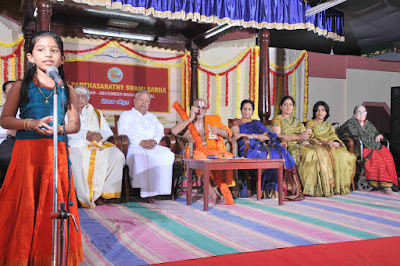 Whether it was the Saveri Varnam or the grand Kambodhi kriti 'Koniyadi' or the padam, the presentation was just enjoyable. The simple and systematic development elaboration of Kambhodi, the chittaswaram in a relaxed pace adorned the number. 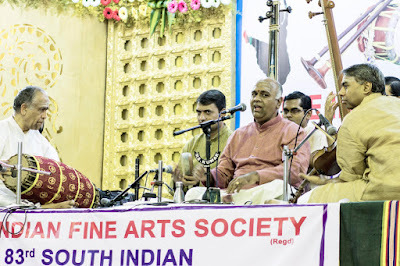 There were requests from the rasikas and the violinist R.K. Sriramkumar. The padam 'Ela radayane' in Bhairavi and a Nadanamakriya composition, which Rama Ravi remembered having rendered it during one of the Bharatanatyam recitals of T. Balasaraswati at The Music Academy and that the piece was taught by none other than Prof. T. Viswanathan. A concert that the rasikas will cherish for long, no doubt. 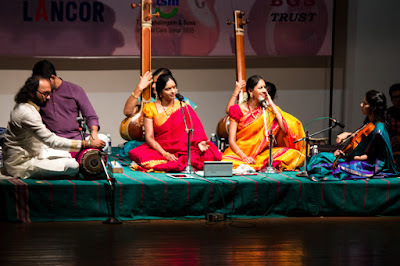 The sisters Ranjani and Gayatri, who used to be independently playing the violin as Bombay Ranjani and Bombay Gayatri in their early days of their performance later took to duet playing of the instrument. A couple of years back, they decided to sing together and there is no going back after that. The sisters' concerts have been a sell out right from the year they began singing together and over the years their fans have been growing. In their well-attended concert for Brahma Gana Sabha, senior dancer Vyjayantimala Bali was also present. The Ragam-tanam-pallavi in Charukesi was a much talked about one in their concert at Narada Gana Sabha. Their concert at The Music Academy was marked by swiftness and the Begada they sang was one the rasikas spoke about in the Social Media. Sri Parthasarathy Swamy Sabha inaugurated its annual December Music Festival in the second week of this month like any other sabha does in Chennai. It was an evening of awards and speeches. 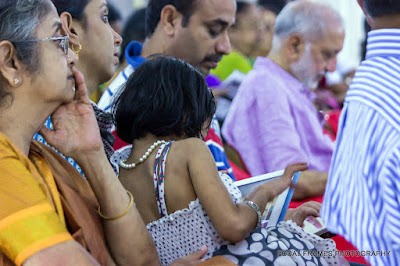 But they made young Akshara Samskriti, who has come down to Chennai from Philadelphia, USA, for the 'season' along with her musician mother Kiranavali Vidyasankar sing the invocation. 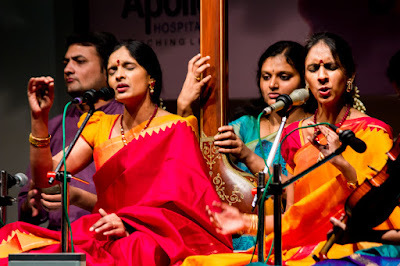 Akshara was all business and went on to the stage to present a long Oothukadu Venkata Kavi's composition 'Ananda Narthana Ganapathim' with all jatis in place. 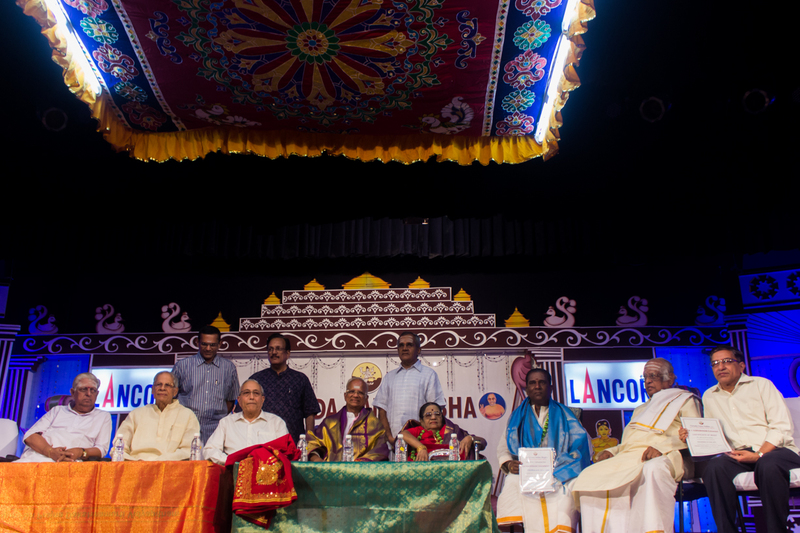 The awardees of the evening, Priya Sisters, senior musician Aruna Sairam who was a special guest, the Jeeyar of Sriperumpudur mutt, veterans Radha Viswanathan and P.S. 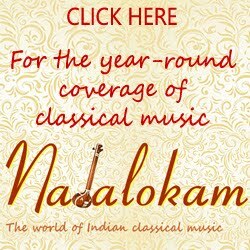 Narayanaswamy didn't bat an eye while Akshara was singing. Keeping talam in her hands, this young girl confidently sang and earned the appreciation from everyone on the stage and in the audience. The sabha's afternoon slots for up and coming artistes have a lot of very young singers and instrumentalists. One could spot young students of music walk in with notebooks and pens for the lec-dems at this sabha every other day. The sabha also has a series of young artistes performing short concerts throughout the day from Jan 1 to 3, 2016. With The Music Academy inaugurating its annual music conference and concerts yesterday (Dec. 16, 2015), the December season is on in full swing. The inaugural functions generally don't attract many. In particular, The Music Academy insists for an official invite to enter the hall at its inauguration. Many stay away or forced to stay away because of this rule as many rasikas do not have an invite. Sanjay Subrahmanyan, the Sangita Kalnidhi designate is one, whose presidential speech was much awaited by his fans at the Academy. He did not disappoint them and spoke from well-prepared notes. He traced back the days of his learning music, the inspirations he derived from his gurus, other stalwarts of music and friends. 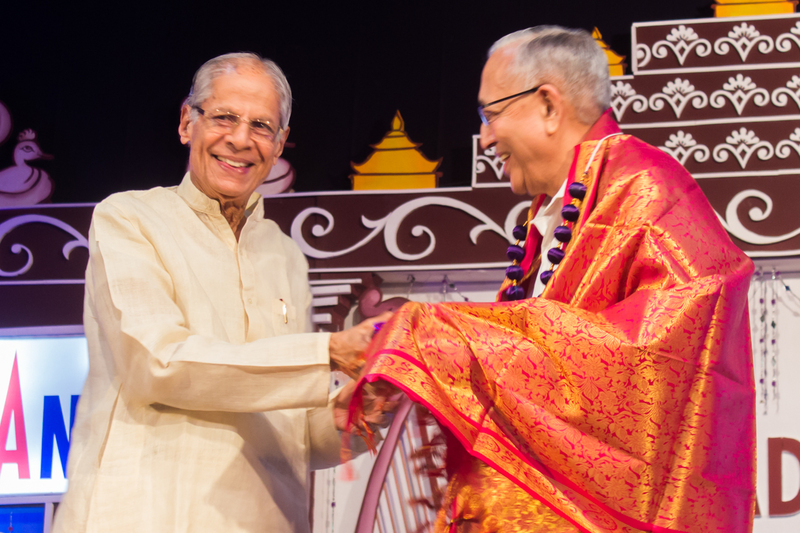 He remembered the YACM, an organisation that supported the young musicians in the 1980s and also his accompanists. Sanjay will be presiding over the lec-dem sessions from today, Dec. 16, 2015 that will be held at the mini hall in The Music Academy premises in the mornings from 8 a.m. to 10 a.m. Here is the video recording of Sanjay's speech shared by him on his YouTube channel. With the Music Academy's December season beginning today, music has begun to flow in full swing in the city. This unique series of concerts, a special to the city has been unstoppable even during the earlier war, floods and Tsunami. A joint Press Release by many organisations issued recently show their concern as well their commitment to the arts. 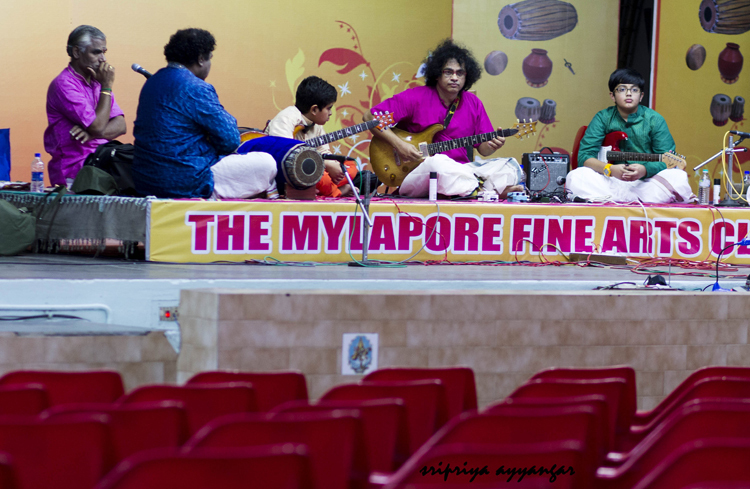 Rarely one gets to see young audience in Carnatic music concerts. A fair number of listeners in their 40s are not a rare scene though. A few artistes have been huge crowd-pullers. 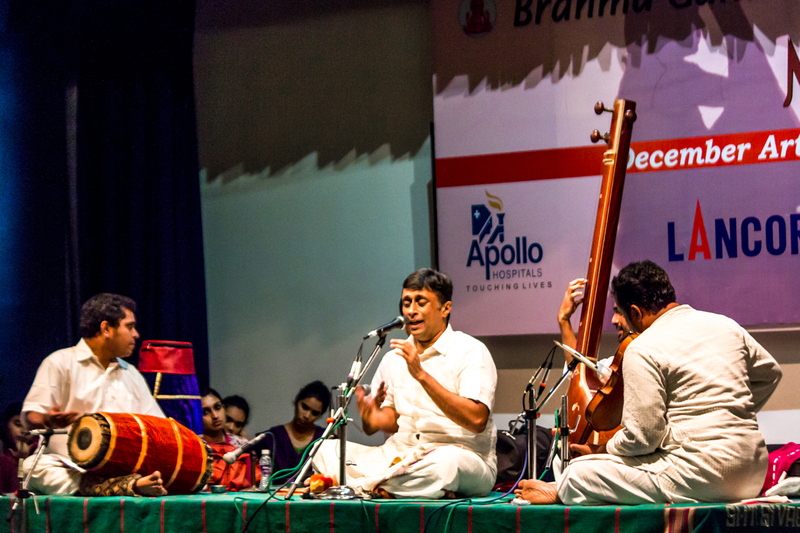 Vocalist Sanjay Subrahmanyam's concerts were overflowing last year. All the concerts hosted by Charsur Arts Foundation during the season are of up and coming musicians and all of them see houseful audiences. Prasanna Venkatraman, Amrita Murali, Nisha Rajagopalan, Bharat Sundar are among the artistes who attract the younger generation of listeners. Trichur Brothers are still in this group but have moved on to prime slots quickly. But all of them present traditional concerts with no frills attached. 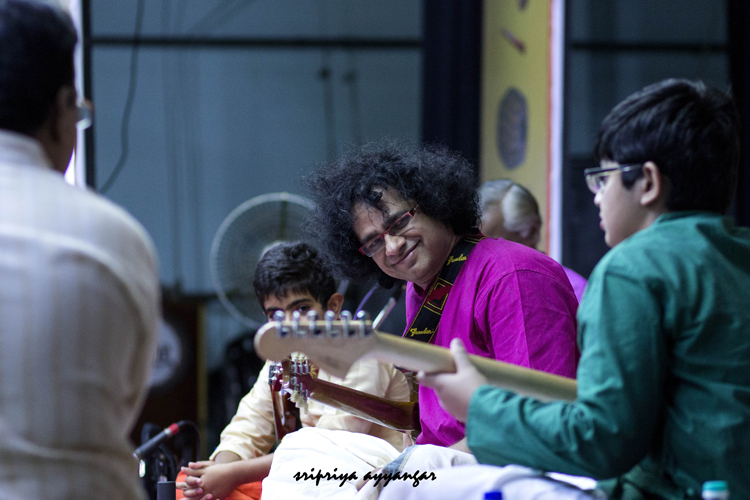 Ramakrishnan Murthy, another rising star has been topping the list of concerts with young audiences. This year too his concerts are well attended. On Dec. 11, at Ragasudha Hall, people sat on the side benches, on the stage and some were standing. 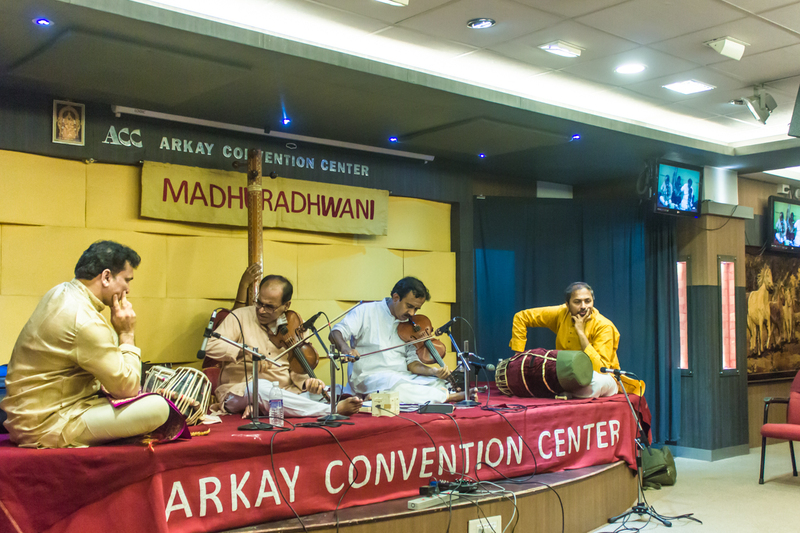 His concert at Arkay Convention Hall for Parampara yesterday was another full-house one. 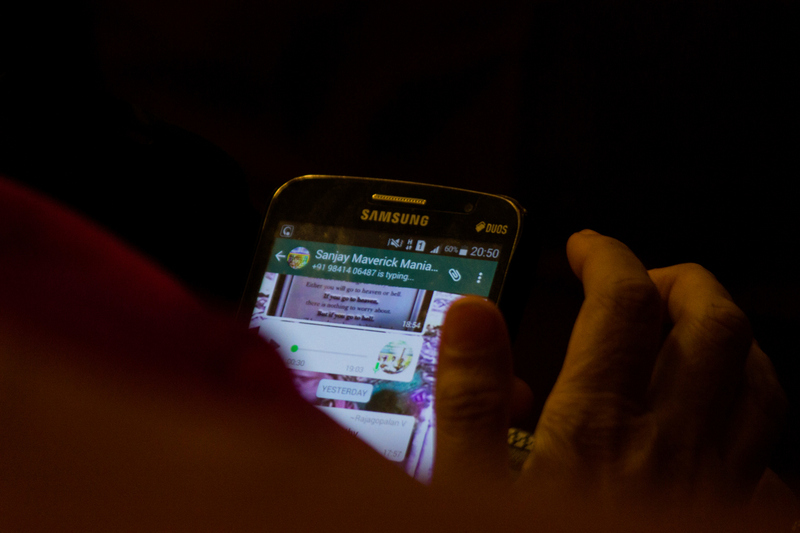 Do young people attend when the artiste is also young? Or, do they just go for good music? 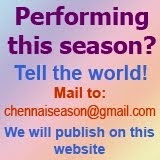 Though there were initial dilemma among artistes and organisations to go with the 'season' or not, the 'season' has finally begun. Many venues were affected by the floods. Chettinad Vidyashram school, where Jaya TV Margazhi Utsavam takes place resumed after the water receded. Concerts are rescheduled. Mylapore was not much affected and so Bharatiya Vidya Bhavan continued their concert series adding a prayer session for those affected by the floods before their evening concert every day after the deluge. 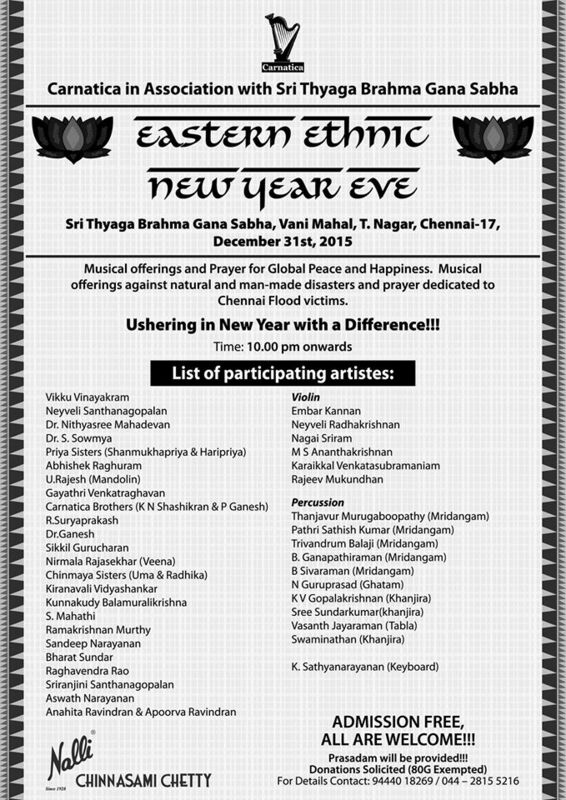 Narada Gana Sabha cancelled their Pre-music season series till Dec. 7 and resumed for four days from Dec. 8 to 11. The sabha's regular season has begun yesterday. 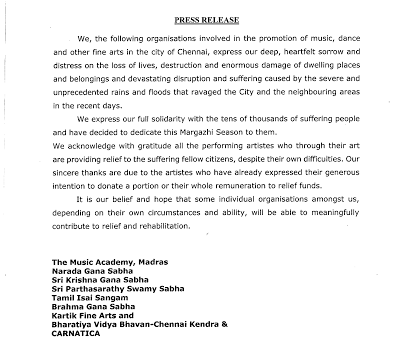 Chennai Cultural Academy had indefinitely postponed its festival as the venue is still flooded. With Thyaga Brahma Gana Sabha, Mylapore Fine Arts Club, Nada Inbam, Narada Gana Sabha and Sri Parthasarathy Swami Sabha inaugurating their festivals, the season is on. But a lot of rescheduling, cancellations change in accompanists keep the organisers on toes. Two senior Sangita Kalanidhi awardee musicians were decorated at Narada Gana Sabha's inauguration on Dec. 12, 2015. 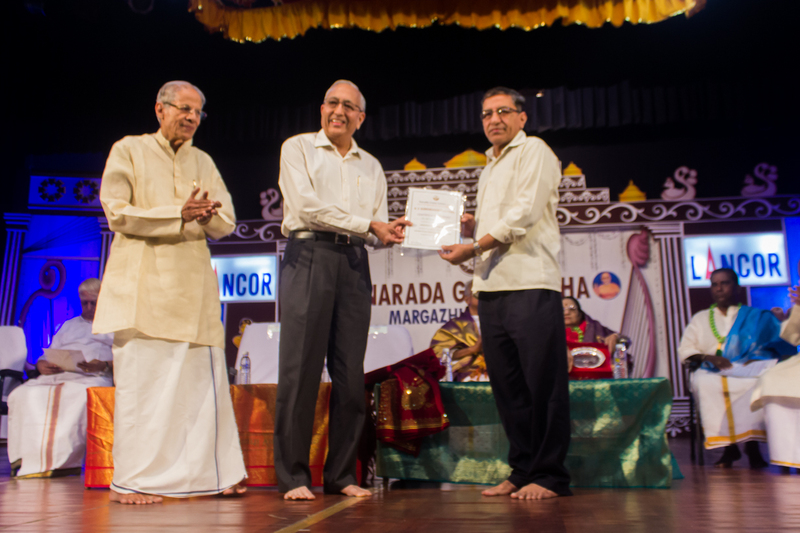 Vocalist T V Sankaranarayanan was awarded the title 'Nadabrahmam' and flutist Sikkil Neela was felicitated as the Senior Muscian. 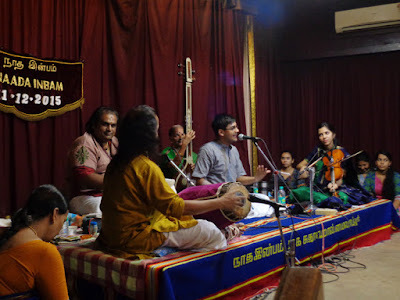 Nadawsaran vidwan Mambalam MKS Siva and musicologist B M Sundaram were also honoured. The endowment awards for young musicians and the winners at various competitions received awards and prizes. 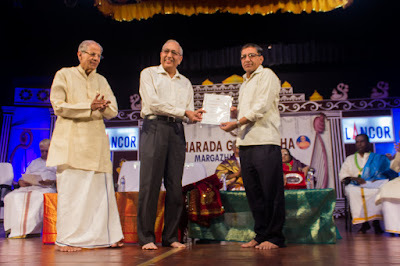 It was a heart-warming moment when N. Murali, president of another prestigious organisation The Music Academy presided over the inaugural function and M Krishnamurthy, honorary secretary of Sri Parthasarathy Swami Sabha was presented with an award for Organiser of the Year. 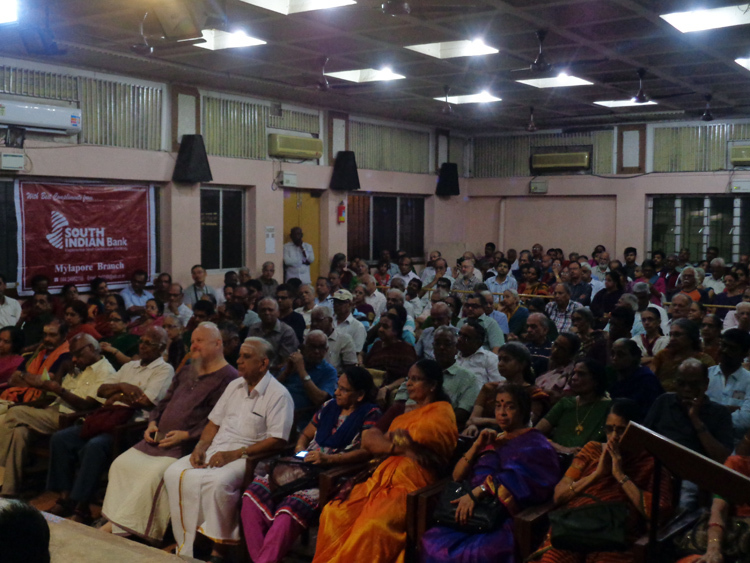 Now, isn't it time when all these sabhas join hands, host the festival under a common umbrella and take the unique 'season' to an international level?